Entering the fray for the Mystery Writers of America Edgar Award for Best Novel is M.J. Carter’s The Strangler Vine. I admit that I was less than enthusiastic when I started this book – historical! (groan) – India! (double groan). But Carter has won me over. The book starts with a prologue- rarely a good beginning, in my opinion – of a man returning to his lodgings. It’s June, 1837, and he watches from the shadows as intruders ransack his home, then ring the neck of his monkey. Who is this guy? What’s going on? And why am I sad about the darn monkey? I don’t even know him. 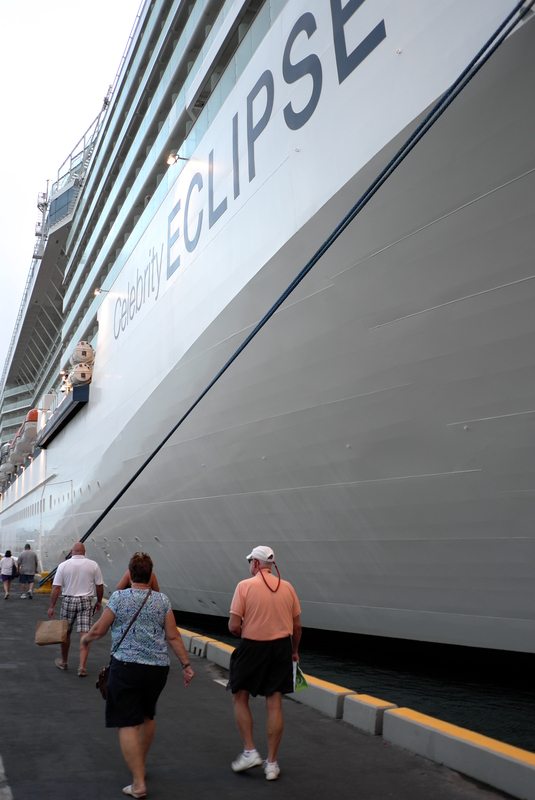 Jump forward to September and we’re in first person. William Avery is a none-too-lucky young officer, stuck in India, and volunteered by his pal Frank McPherson to pay a call upon Jeremiah Blake, carrying a message from the Company. Blake’s a former special agent gone native following the death of his Indian bride and their son in childbirth. As Avery is all spit and polish, he is appalled by the filthy and scabrous Blake. Little does he know that within 50 pages or so he will be developing a great admiration for Blake’s abilities, as they set off together cross country on a quest to locate author Xavier Mountstuart. Mountstuart is conducting research for a book on the Indian band called the Thugs, a religious sect who murdered in the name of Kali, the Hindu goddess of death and destruction. Blake and Avery are accompanied by three native men, one of whom, Mir Aziz, becomes a mentor to Avery. The book is, without a doubt, a great adventure story. How will they overcome all the obstacles in their way? Will they find Mountstuart, and if so, alive or dead? But it is also a spy novel, where all is not as it is appears. In fact, there are secrets layered upon secrets. And indeed, the Thuggee are not to blame for all the unrest in India, for as with any good political thriller writer knows, nothing allows fascism to grow more quickly than a fearsome, common enemy. And there is nothing more heart-rending than betrayal by a double agent counted a friend. The Strangler Vine in question is the authoritarian British company, squeezing the life out of the Indian culture. As I mentioned, Carter made a believer out of me, drawing me in to the story and keeping the pages turning. Lt. Avery grows up, from callow youth to mature man, over the course of his adventure, showing remarkable fortitude and skill when tested. He does not triumph so much as eke the good out of a bad situation. How does The Strangler Vine compare to Robotham’s Life or Death? It’s like comparing cake and pie – totally a matter of taste, as both are at the top of their game. As a cake woman, I have to give the edge to Life or Death, but I admire the pie and would totally eat more of it. I am an eager Michael Robotham reader. In fact, he has a new book out TODAY, his latest in his clinical psychologist Joe O’Loughlin series, and I have it sitting on my kitchen table right this minute. That should tell you that when it comes to his Edgar-nominated novel, Life or Death, I had to read it for the second time in order to review it and rank it in the Literary Lunchbox countdown to the April 28 Edgar awards. 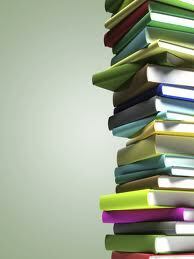 Reading a book for fun, or even fun and a quick review, is a pretty light-hearted affair. Reading a book for the Lit Lunchbox Edgars is more complicated, involving colored markers and little sticky flags. It’s very upsetting to forget a minor character’s name or be searching through the pages to find the perfect example of the point your trying to make. I liked the book the first time. On second reading, Life or Death definitely holds up. Totally nomination – worthy. The book opens with a prison escape. Okay, you don’t really know it’s a prison escape, but that’s what it is. Audie Palmer is swimming for his life away from the Three Rivers Federal Correctional Institute. The catch is, he was due to be released the very next day. What would cause a man to risk 20 more years in prison, just to get out a day early? That question haunts the subsequent chapters, as the reader is exposed, little by little, to more information that explains what kind of man Audie is (a good one), what reason he has for making a midnight escape (an excellent one), and how hard the bad guys will work to bring him down (very, very hard). Life and Death is replete with believable, interesting characters, including Audie himself; his best friend and cellmate Moss Webster; his brother Carl; Benita, the love of his life, hero cop Deputy Ryan Valdez; and one of my favorites ever, FBI special Agent Desiree Furness. Desiree is tiny but mighty, and even more important, she’s smart and she listen to her gut. It’s a classic thriller of the “chase” type – can Audie accomplish his goal with so many people looking to hunt him down? The book is constructed from multiple perspectives, with overlapping layers, which can lead the unwary reader into rushing… but don’t. There are several shocking scenes along the way, and as a result, the final confrontation carries real threat. You fear the loved and innocent will die, because you’ve seen Robotham go there already. Before I launch into the Lit Lunchbox Countdown for the MWA Edgar nominees for Best Novel, I wanted to give a quick wrap-up of some books that I’ve recently read and enjoyed… some more, some less, but all worth the time depending upon your personal preferences. 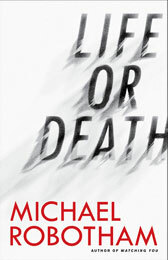 Michael Robotham’s Life or Death is a departure from his usual suspense thriller (a subgenre he does extremely well). Life or Death features Audie Palmer, who is on the run after breaking out of prison just one day before he was due to be released, having done ten years for bank robbery. Audie’s a decent guy who managed to earn the respect of his fellow cons and even made a close friend or two. We’re at his side as he struggles to stay alive as cops and criminals dog his heels. Special Agent Desiree Furness is the FBI agent who suspects that there’s more to Audie’s story. 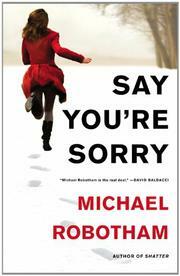 Robotham does a great job of revealing Audie’s backstory, his reason for pleading guilty to a crime he didn’t commit, and how he manages to come through in the end, although there is some heartbreaking collateral damage along the way. Not as big a nail-biter as some of his books, but still a big thumbs up. Jonathan Kellerman is an author I used to read without fail, but then a series of clunky books made me think he was phoning it in, and he fell of my “must buy” list and onto my “from the library, maybe” list. 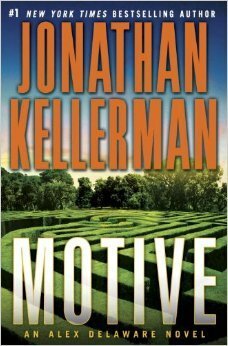 The latest library read is Motive, featuring psychologist Alex Delaware and his cop pal, Milo Sturgis, and a criminal who kills, then stages the scene with a meal appropriate to the victim. As usual, there’s lots of potential perpetrators to be ruled out leading to plenty of Alex:Milo discussions before the case is solved, and I didn’t see the bad guy coming. Kellerman still seems to be on cruise control, but fans will like Motive. 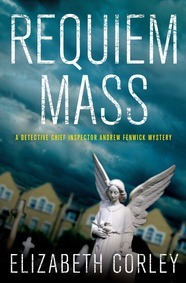 Elizabeth Corley’s Requiem Mass is the first book in a new series featuring Detective Chief Inspector Andrew Fenwick. If you’re a fan of British police procedurals, this entry is for you. This is a well-plotted tale of revenge for a crime 20 years in the past, with a surprisingly evil twist. Fenwick’s an engaging protagonist and not above achieving justice by other means, if arrest and conviction is not available. I’m looking forward to more from Corley. The good news is that her series was published first in the UK, so there’s quite a few available! 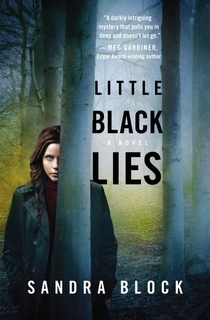 Last but not least is Sandra Block’s Little Black Lies. This dark mystery features psychiatric resident Dr. Zoe Caldwell, who is haunted by her own troubled past. Zoe was adopted at the age of 4 after her mother was killed in a house fire, but her memories of that day don’t align well with what she’s been told over the years, and her Alzheimer’s- affected adoptive mother is an unreliable source of information. As she explores her past, she also cares for patients on the psychiatric ward, including the lovely Sofia Vallano. At the age of 14, Sofia killed her own mother and gravely injured her brother, but doctors now believe she may be cured of her mental illness and ready for release. Both stories are more complicated than you’d expect, and Block does a great job resolving them. The book has a strong personal voice and is a compulsive page-turner. Bad me. I’ve been reading, but not reviewing, and now I have a monumental stack of books and the SWAN library system (because it is not enough to get overdue notices from one library, no, I must have an entire system of interconnected libraries nagging me) is going into overdrive emailing me. The Story of Beautiful Girl, Rachel Simon: Super-great reviews from critics. Hemmed-in widow answers her door to a deaf man and a mentally challenged girl who’ve escaped from a special “school,” girl gives birth, trackers recapture girl, man gets away, widow raises baby. I found the story engaging but a little preachy. The Diviner’s Tale, Bradford Morrow: Well-reviewed. Cassandra Brooks is a diviner in both meanings of the word- she finds water using a dowsing rod and also has paranormal abilities, which she has worked to repress. Out looking for water, she comes across a hanged girl. Raising an alarm, she comes back with the cops – no girl. Is the girl from the past, the future, or some other place? The novel has great characters, complicated relationships, and a compelling voice. Big thumbs up. Bleed for Me, Michael Robotham: Again, good reviews for this suspenseful crime fiction. Former cop Ray Hegarty is murdered, and it appears the killer is psychologist Joe O’Loughlin’s daughter’s best friend, Ray’s daughter Sienna. Called in to do a psychological evaluation of the daughter, Joe becomes convinced that there is a hidden story and despite the odds, digs in and proves it. There are good guys, bad guys, and complicated guys, and the book is well-plotted and a bit of a nail-biter. Definitely recommended. The Rope, Nevada Barr: I’ve read others in this popular series and enjoyed them, but tried three times to get into this “prequel” and put it down each time. If you’re an Anna Pigeon fan, don’t take my lack of enthusiasm as any reason not to read the book. Blue Monday, Nicci French: Psychotherapist Frieda Klein slowly becomes convinced that her patient may be involved in the recent abduction of a five-year-old child. Her investigation reveals something even more chilling. The novel has wonderful, interesting, smart characters and a great rationale for the underlying plot that is revealed at just the right pace. My only complaint was that I saw the final twist coming, and any frequent reader of the genre will, as well. A very satisfying read.